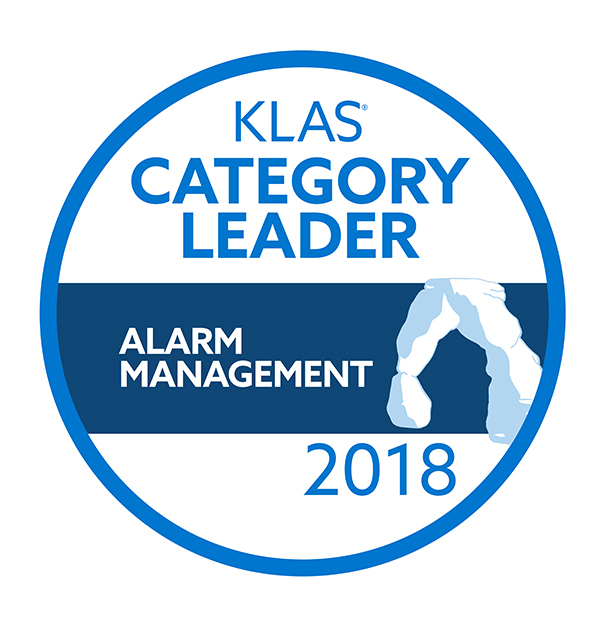 Connexall, the industry leader in alarm management and event notification, is pleased to announce that it has been named Category Leader in the 2018 Best in KLAS: Software & Services Awards for Alarm Management, ranking Number One in the market segment. The KLAS Category Leader designation classifies a vendor who delivers excellence with an unwavering passion and has outperformed other vendors in their specific market segment; in Connexall’s case, Alarm Management. Connexall, the industry leader in alarm management and event notification, is pleased to announce that it has been named Category Leader in the 2018 Best in KLAS: Software & Services Awards for Alarm Management, ranking Number One in the market segment. Connexall was also named Category Leader in the same segment of the 2015/2016 and 2017 Best in KLAS awards. Additionally, in 2014 and 2016, Connexall was named Top Performer in the respective years Alarm Management Reports. As the 2018 Category Leader, Connexall had an overall performance score of 91.2 out of 100- the highest score among KLAS-rated vendors in Alarm Management. KLAS asked providers to rate several areas in the category of Alarm Management including: sales and contracting, implementation and training, functionality and upgrades, service and support, and general. Connexall ranked highest in all of these areas. The 2018 Best in KLAS report is published by KLAS, an independent healthcare research firm focused on investigating and reporting on the performance of healthcare vendors. KLAS researchers collect feedback directly from healthcare providers in several different segments. They work with thousands of hospitals to accumulate honest, accurate and impartial rankings of vendor performance in the industry. A Category Leader designation classifies a vendor who delivers excellence with an unwavering passion and has outperformed other vendors in their specific market segment; in Connexall’s case, Alarm Management. Connexall, ranked number one and named Category Leader in the 2015/2016, 2017, and 2018 Best in KLAS awards, is an enterprise-grade communication and control platform that delivers hospital-wide interoperability to people, systems, tasks, and devices. Its capabilities act as a backbone for clinical workflow, communicating the right information to the right person, at the right time, on the right device. Based on more than 20 years of R&D efforts, the Class II medical device software is completely vendor-neutral and device-agnostic. Connexall has offices in Canada, the United States, Brazil, Portugal and Hong Kong and works with more than 1100 of the world’s most renowned and progressive hospitals and health systems. For more information please visit https://connexall.com.